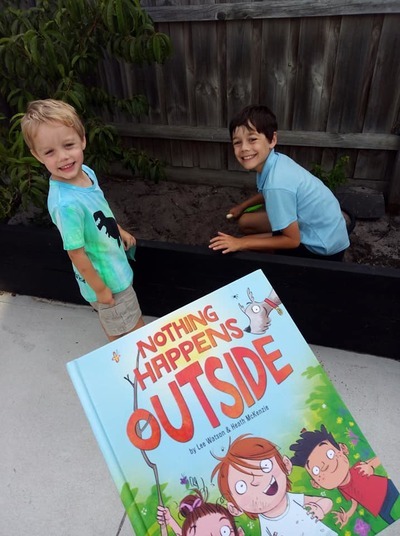 A brand new children's book ‘Nothing Happens Outside’ by Lee Watson encourages children to pull away from technology and reconnect with family & friend..outdoors! 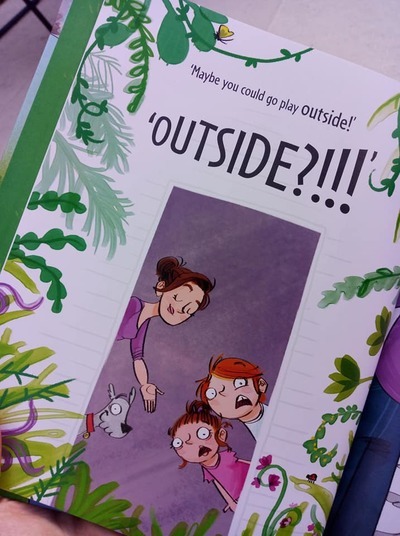 Much in the way we promote adventures through KidTown Melbourne, this sweet hardback book suggests more meaningful time can spent outdoors as a family unit. 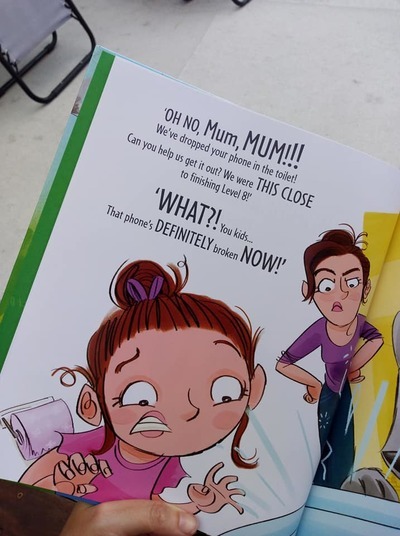 The first few pages are certainly up with modern times as the main characters in the book (two children) drop their Mum's phone down the toilet! The two complain they'd "nearly finished level 8" and "what are they going to do now". Their mother, obviously annoyed by the situation, suggests her kids play outside, to which they reply "but there is nothing new outside". Can we relate to the above? Not the toilet part (hopefully) but certainly screen play and encouragement to play outside. The book, as you can imagine, ends well as the children tap into their imagination and discover magical new things outside. Would you like to introduce this positive story to your children? Thanks to Golden Circle Australia, you can! We have 10 copies of the book Nothing New Outside to giveaway. To enter, hop over to our Facebook page to win. Would you take your child/ren on holiday during term time?